Building consistency through his rookie campaign, Jaden Riddell completed the OSCAAR Pro Sprint standings ranked second in points. The year didn’t start off strong for Riddell, though, as the season opener at Sunset Speedway did not go smoothly. While he showed speed and potential with passes made, he also spun around on three different occasions, bringing an early end to the feature with a seventh-place finish. He once again was fast when the series returned to the Innisfil, Ontario oval a month later. He led the opening 10 laps of the feature, before contact mid-race while battling for the lead amidst lap traffic sent him around for a spin. Restarting from the back, he was able to make his way forward to a fifth-place finish. 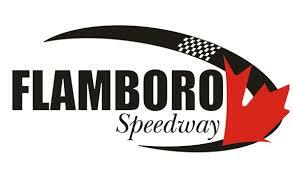 The mistakes would iron themselves out by the time the Pro Sprints took on Flamboro Speedway, with Riddell scoring his first career heat victory. He then backed it up with a strong run in the feature, running top-five all race long en route to a runner-up. He then followed it up with another qualifying win at Peterborough Speedway, before running into issues resulting in a 10th-place feature finish. The mechanical problems that plagued Riddell at Peterborough would follow him to Sauble, ultimately causing him to miss the feature that night. He made up for it at Grand Bend Speedway, placing third on the first night of competition, before scoring his first career series feature victory on the second night. The win gave Riddell the momentum needed heading back to Sunset Speedway, as he ran top-five in both features en route to finishing third and second in the double header. He looked to keep the top-five’s rolling at Flamboro when a mechanical issue caused him to slow while leading in the first feature, resulting in a 13th-place finish. His team would work to get the issue fixed, allowing Riddell to take the victory in the second event after passing Daniel Hawn for the top spot on Lap 7. The season finale at Peterborough would go well for Riddell as well, winning the first feature after taking the top spot on Lap 4 of the feature. He then capped off the year with a runner-up in the second event despite going around for a quick spin.